After breakfast, depart for Serengeti National Park, via the beautiful high lying farmland of Karatu and the Ngorongoro Conservation Area. Leaving the highlands behind, we descend into the heart of wild Africa – the Serengeti National Park – with its endless plains, rolling into the distance as far as the eye can see. 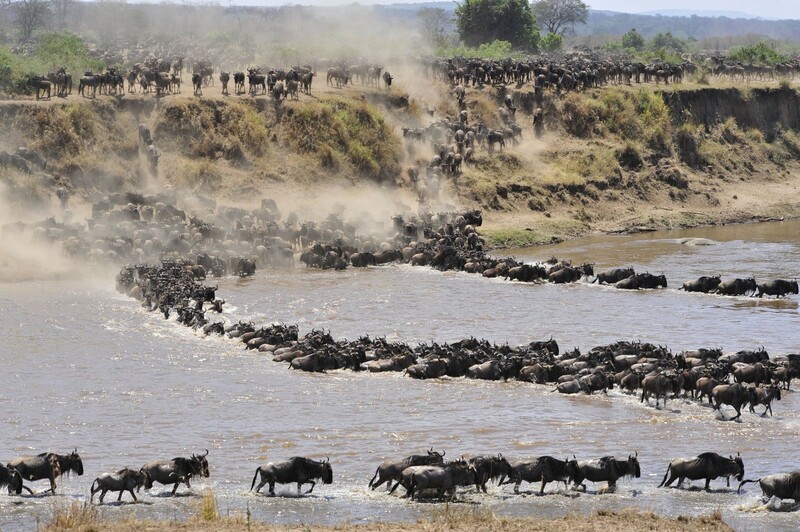 Then heard to the central park area, known as the Seronera area, one of the richest wildlife habitats in the park, featuring the Seronera River, which provides a valuable water source to this area and therefore attracts wildlife well representative of most of the Serengeti’s species. Arrive in time for lunch and enjoy an afternoon game drive in the Serengeti national park. Dinner and overnight atSerengeti Kati Kati Tented Camp for 2 nights.